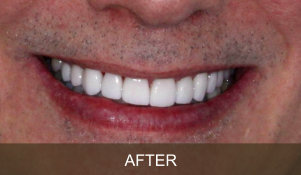 Find here real photographs of actual patients who have undergone a variety of dentistry procedures performed by our highly-experienced family of dentists at Briter Dental in Katy, Texas. 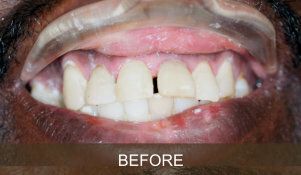 A 51-year old male patient from Katy, Texas, came with discolored and slightly uneven teeth, cavities and periodontal disease. 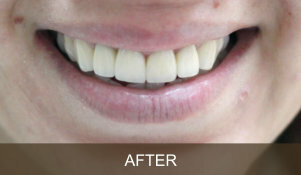 One of our dentists, Dr. Zahra Alvandi, performed the following dentistry procedures to address the dental issues: cosmetic veneers, scaling and root planing, occlusal adjustments, fillings, and teeth whitening. A 37-year old female patient from Houston, Texas came for treatment of failed existing root canal, failed existing restorations, infected tooth nerve and cavities. 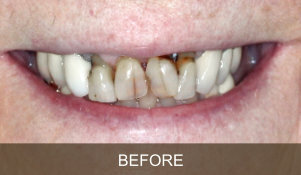 One of our dentists, Dr Sanaz Eklassi, performed the following dentistry procedures: root canal re-therapy, post and core, build ups, crowns and cosmetic veneers and fillings. 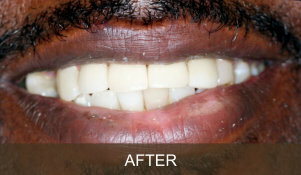 A 50-year old male patient resident of Katy, Texas came for treatment of failed existing restorations, infected tooth nerve and cavities. 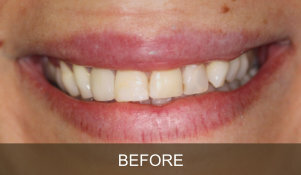 Dr. Sanaz Eklassi, performed the root canal therapy, crowns and cosmetic veneers and fillings. 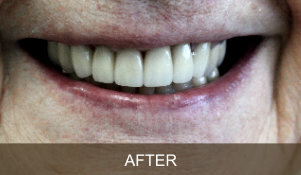 An 83-year old female patient from Houston, Texas came for treatment of teeth discoloration and cavities. 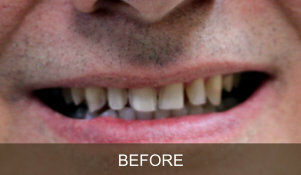 One of our dentists, Dr. Zahra Alvandi, performed build ups and crowns.